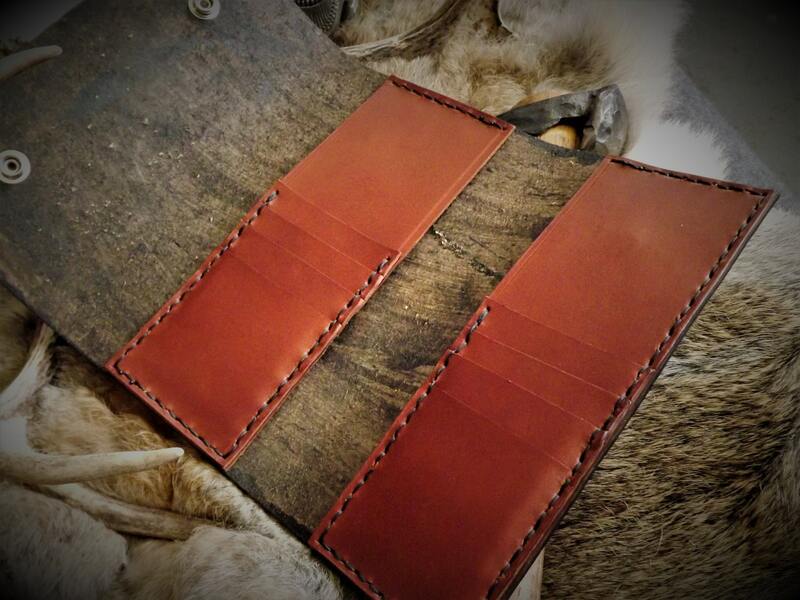 This product is a tall trifold wallet with a custom interior (message me to request your custom layout). 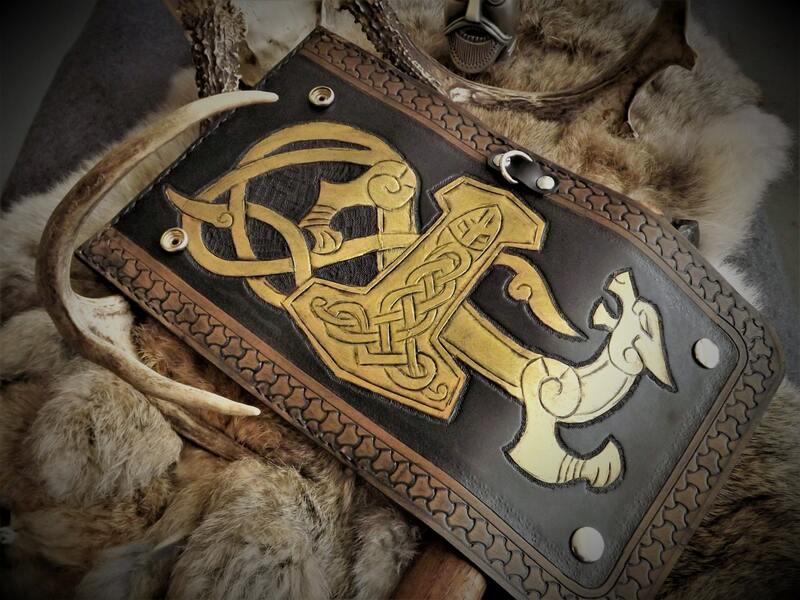 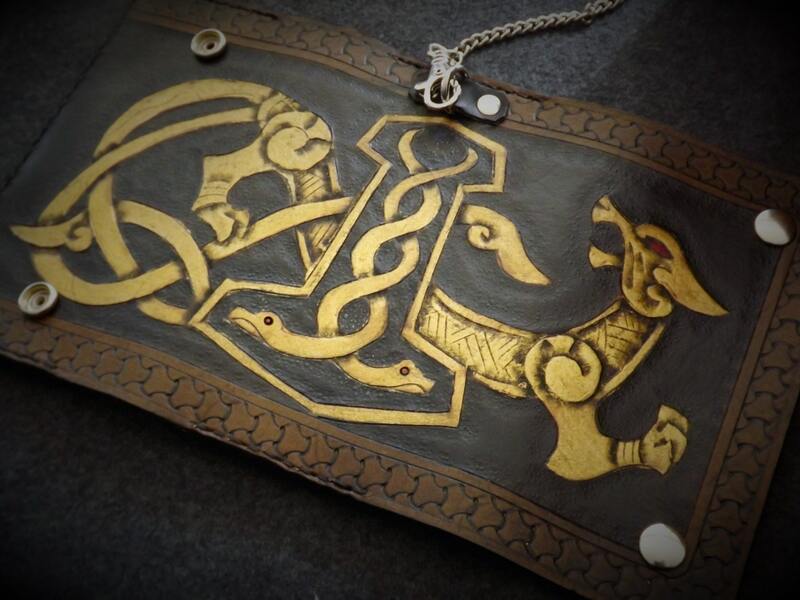 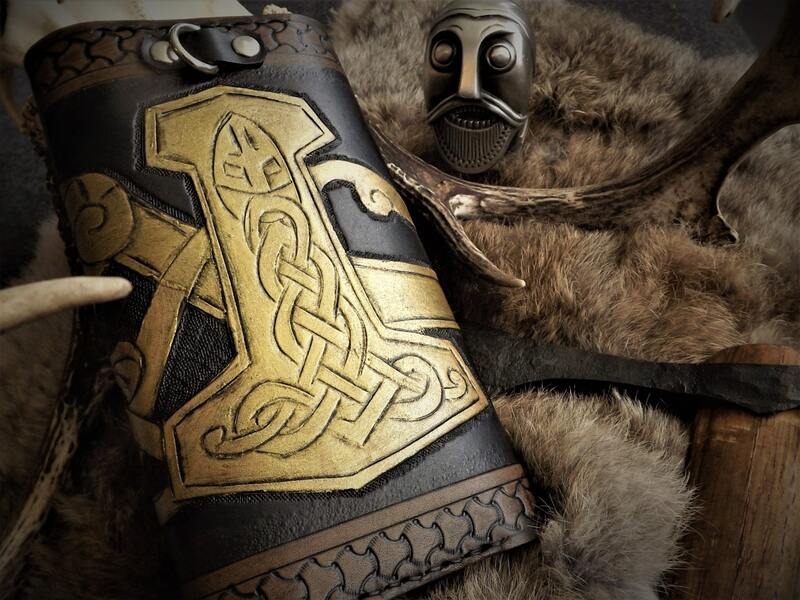 The pictured wallet features a Mjolnir design with a knotwork wolf along with border trim and multiple dye colors. 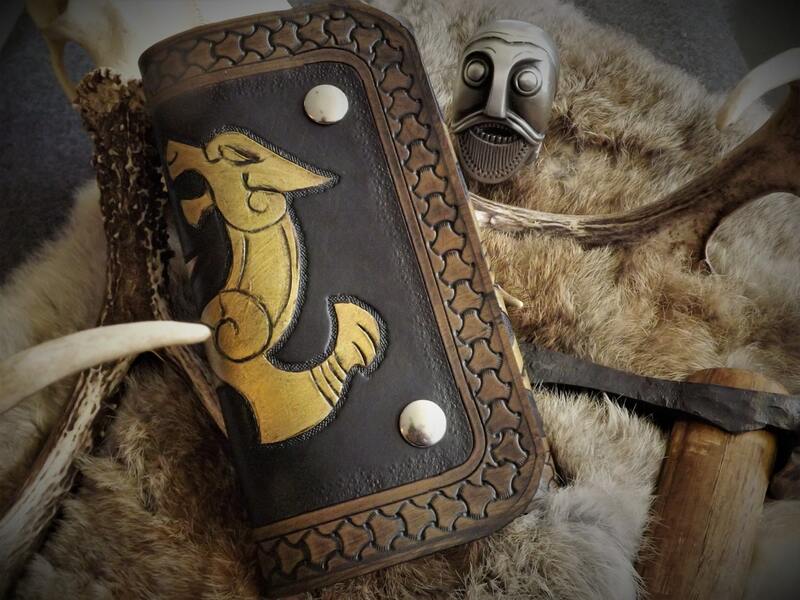 A equally unique wallet can be created for you!